It's difficult to imagine today, but Afghanistan was once a popular destination for foreigners with adventure in their blood. From 1970 to 1974, as Western and Soviet powers competed for influence in the country, one young American family compiled a photographic record of expat life in a country that has deteriorated so drastically since then, it’s as if time has turned back. Elliot Larson and his wife Marty worked in a medical facility in Jalalabad while raising a young family. On many of their outings they took a small Minolta camera, shooting slide film of weekends in the sun and trips to regions where today not even NATO soldiers can safely travel. The couple has kindly shared their pictures with RFE/RL, and are published here for the first time. 1 Marty Larson and her young son (bottom right) on a raft made of inflated goat skins. 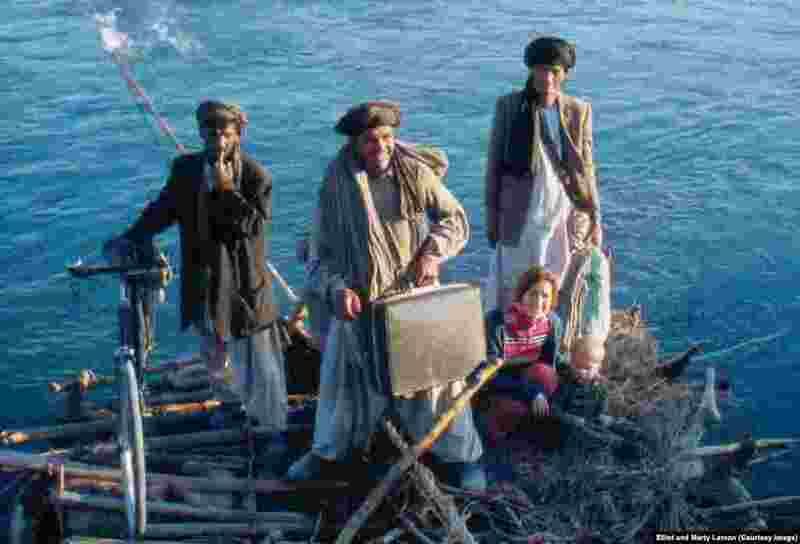 The man carrying the briefcase was a neighbor of the Larsons in Jalalabad. He now lives in the United States. 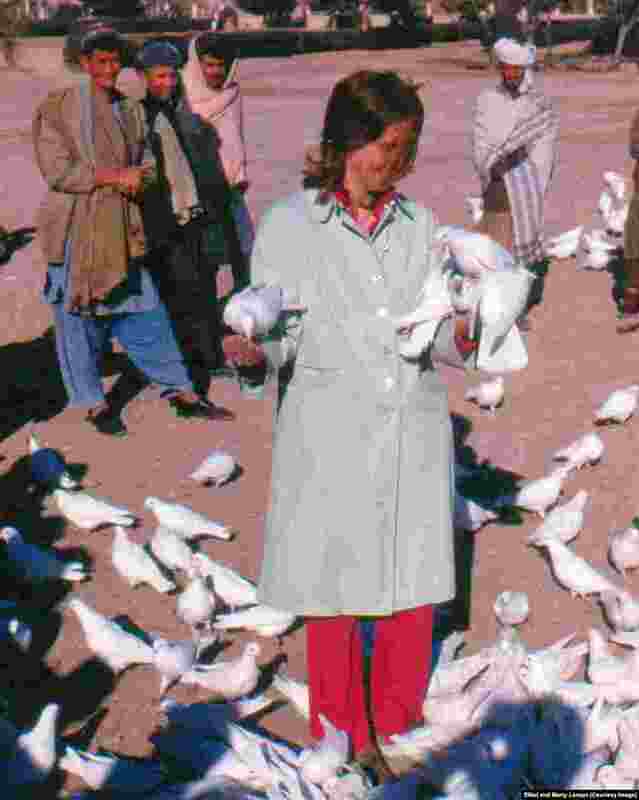 2 Marty Larson feeding doves at the Blue Mosque in Mazar-e Sharif. 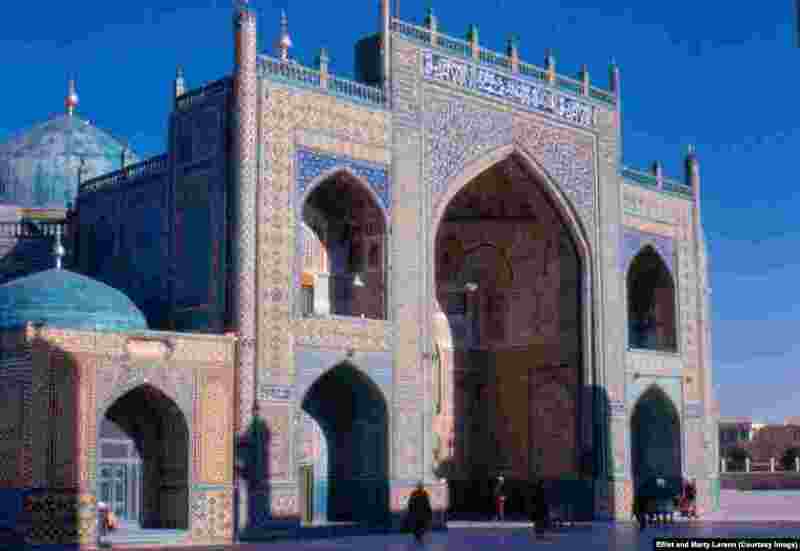 3 The Blue Mosque in Mazar-e Sharif. In 2011, the year the Larsons last returned to Afghanistan, four people were killed when a bicycle bomb exploded near the mosque. 4 A child being measured and weighed in a village clinic. 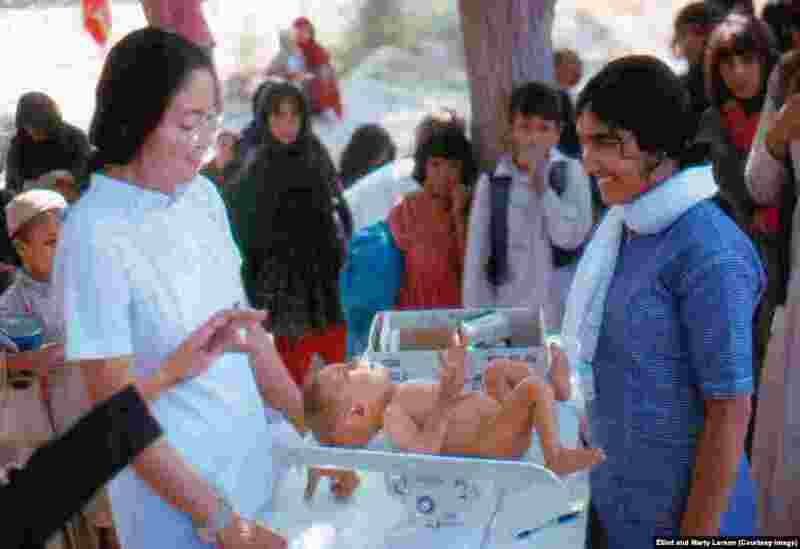 The woman on the left is an American Peace Corps nurse working with an Afghan student nurse (right).